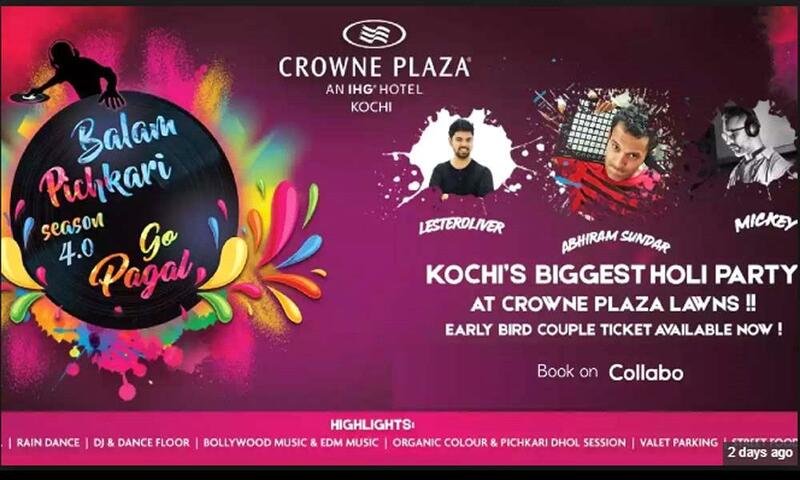 The biggest Holi Bash, Balam Pichkari Season 4.0 now at Kochi on 23rd March. Crowne Plaza Kochi is presenting their biggest Holi Bash, Balam Pichkari Season 4.0 on this Holi eve. This show is featuring organic colors, rain dance, delectable street food, music by DJ Abhiram, Lester Oliver & Mickey. Be there and make memorable!